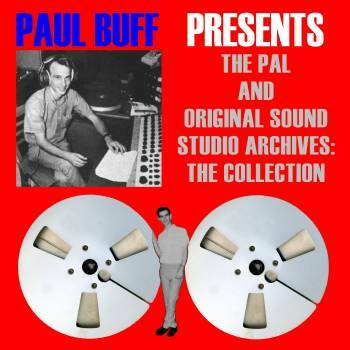 Johnny Barakat recorded at Paul Buff's PAL studio. One of his recordings features Frank Zappa on bass vocals. "The late Johnny Barakat was a lesser-known surf guitarist on the scene, but he was one of the most prolific within a short period. Disabled as a child by a shooting at his father's store, Barakat developed his guitar skills to get him through his recovery period. He formed the backing group The Vestells and he was on his way. Johnny released just one single at the time ("Happy Time"/ "Long Ride"), but all of his known studio works at the time (all done at Pal Studios) were released in 1996. That is, until now. A tape of three unreleased Barakat masters was located recently, and one of them, "All Night Long," appears here. It's short but powerful." "Johnny Barakat & The Vestells' version of "Jezebel" has never been released, and who do you think sang the bass vocal? Yes, it's Sir F of Z!" "The third and final unissued Johnny Barakat & The Vestells track, a cover of Stan Jones' "(Ghost) Riders In The Sky," is probably the most stunning of the three." "Johnny Barakat & The Vestells' "Happy Time" is completely unrelated to The Cordells' tune of the same name. The Barakat song was the A-side of his single on the Dell-Star label in 1963. What is related is Johnny Fortune's second unissued take of "The Battle Of Jericho," which has more reverb than the first version released on an earlier volume." 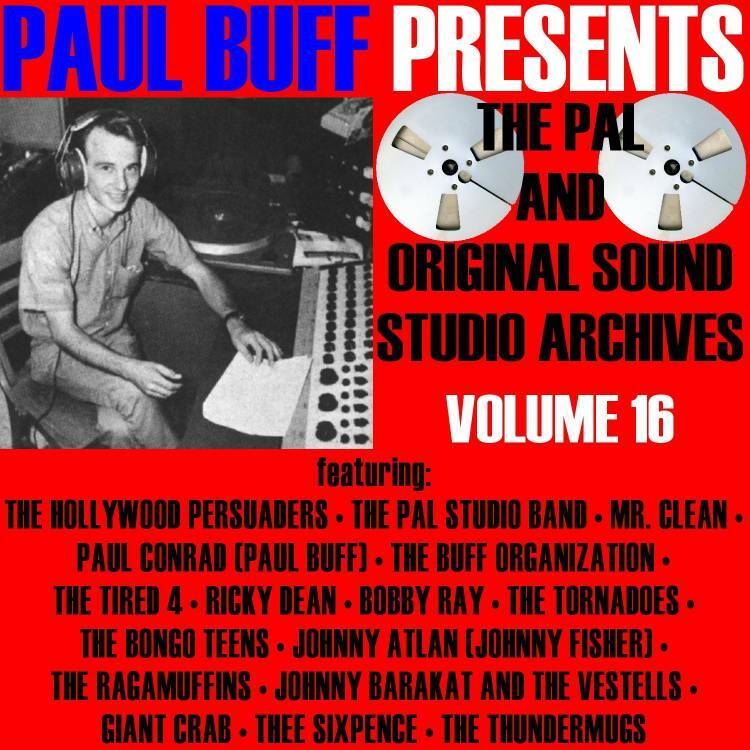 "Johnny Barakat & The Vestells were very busy at Pal Studios during 1963, as their "Sophisticated Surfer" and "Smack" indicate. Their sound was almost as rough as The Velveteens at times, but both groups shared the same enthusiasm in playing their material. Barakat's reference to "Candid Camera" will probably pass by many younger people today, but the older folks will remember how popular that TV show was!" "In the meantime, you can do some comparing and contrasting work! Compare Johnny Barakat's later, reverb-drenched version of "(Ghost) Riders In The Sky" to the unreleased version issued on Volume 11." "Buff's second backing track for "Donna" leads into Johnny Barakat's second version of "Static." Yes, that's Barakat yelling at his father at the end of the track! You see, Mr. Barakat controlled every moment that his son and The Vestells were in the studio, and he was the official timekeeper. It was his job to tell Johnny how much time was left for their session, and when he didn't do that after a take, Johnny yelled at him!" "The first take of Johnny Barakat's "Static" follows, and we get more of Johnny yelling at his dad at the end!" "We continue the surf theme with Johnny Barakat's version of the traditional "Shortnin' Bread," which he called "Surfin' Bread." Later on, we have Barakat's "Surf Madness," another of his many Pal masters." "The Bongo Teens' "The Happy Surfer" is the original stereo mix and is just as the title describes! Two other alternate mixes of songs released on other volumes include a mono vocal mix of The Buff Organization's "The Square" and the first stereo mix of Johnny Fisher's "Dream Tonight." Johnny Barakat chips in with his rough, energetic Pal session "5-4-3-2-1 Surf!"."